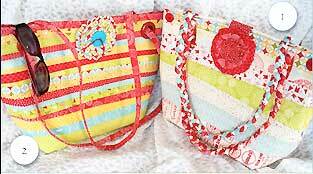 The Strippy Tote Pattern by Seams & Dreams is made from 2 1/2" strips of fabric - use up your scraps for a unique bag! 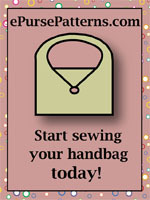 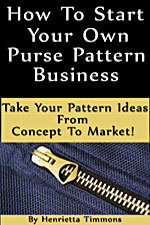 Instructions are given for pockets inside and out and include a fun flower tab for the front of your bag. 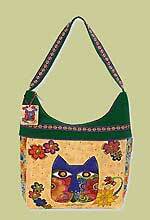 Two sizes are included: Tote #1 is 15" x 11" x 4" and Tote #2 is 20" x 11" x 4".